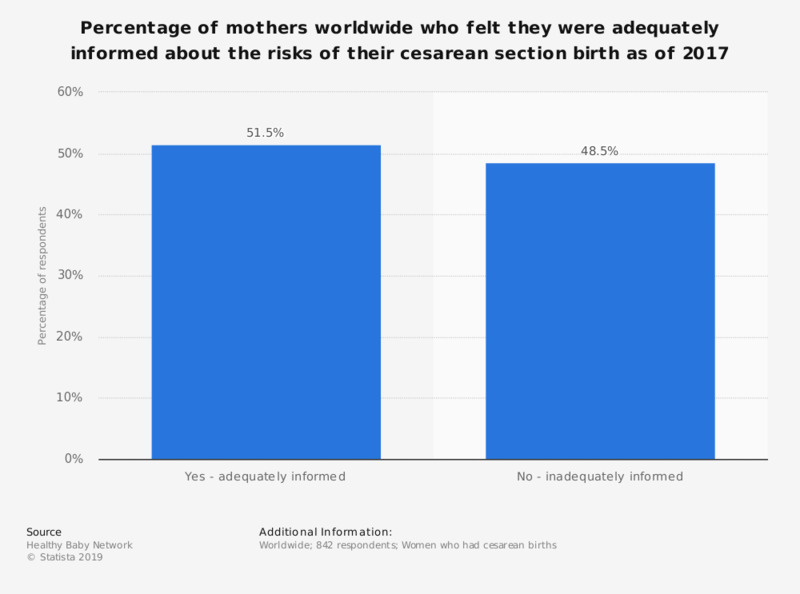 This statistic depicts the percentage of mothers worldwide who said they had been adequately informed about the risks of their cesarean section births as of 2017. According to the data, 51.5 percent of respondents said they were adequately informed about the risks of their c-section. Question 9: "Do you feel you were adequately informed about the risks of cesarean section?"